Do your customer know you are OPEN? Consider adding an "OPEN" sign to the front of your business. 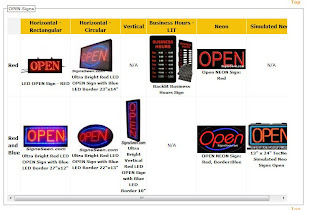 This Open Sign chart shows you that they come in LED, NEON, Simulated NEON, and just "backlit" Let us know of questions.